Each design unique, just like our clients. Just loved this day so much. 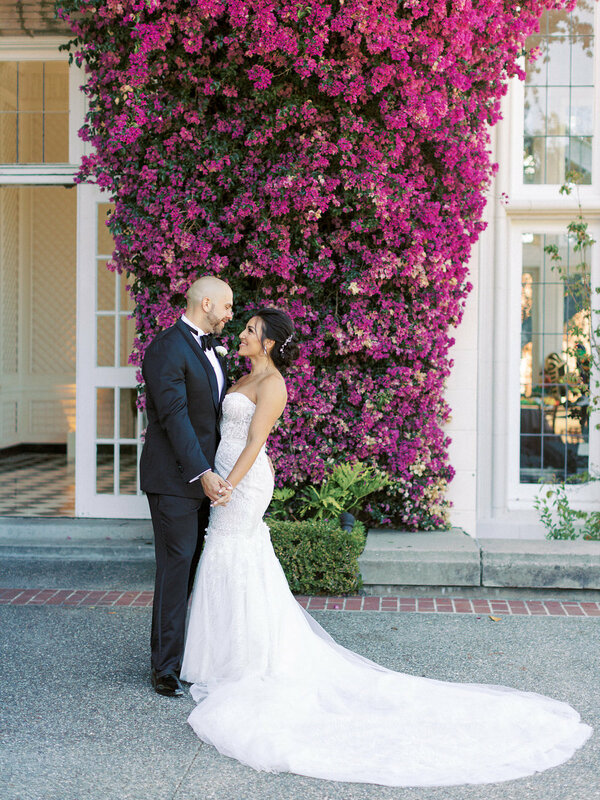 From cable cars to classic Presidio venues there was so much to love about this day. The bride is an incredible graphic designer and had amazing custom details throughout. Also one of my ALL TIME favorite father of the groom toasts that still has me laughing out loud. These two had an unforgettable wedding at Kohl Mansion. Guests were greeted with champagne before being ushered into the ceremony room, with the bride’s uncle playing guitar to create the perfect ambiance. Their guests dined in the mansion courtyard under bistro lights with impeccable florals and danced the night away. Inspired by the garden and sea, this weddings was over the top stunning. The bride was stunning, the Groom dashing, and the intimate gathering of 83 guests was just perfection at Calamigos Ranch. What a great way to start off my wedding season in 2018! Nestled in the foothills of Paradise Valley Arizona, this wedding was lush, romantic, and colorful. They are madly in love, and the first dance song made me melt. What an awesome wedding for an AWESOME couple! This wedding was so unique! Almost no florals and not a single linen (WHAT?!) I know! I love that Gallery 308 is an empty space that can be turned into ANYTHING you want. With a ceremony at the historic firehouse just across the parking lot, guests were entertained by live music after a sweet ceremony and an industrial chic reception with an epic dance party complete with neon cat ears for guests. This wedding was lovely from head to toe. Our first Russian Orthodox, and I truly hope it is not our last! What an incredible party! I loved surprising the guests with the 80’s cover band mid-reception! With crystal decanters of vodka at each table, I knew it would be a fun one. 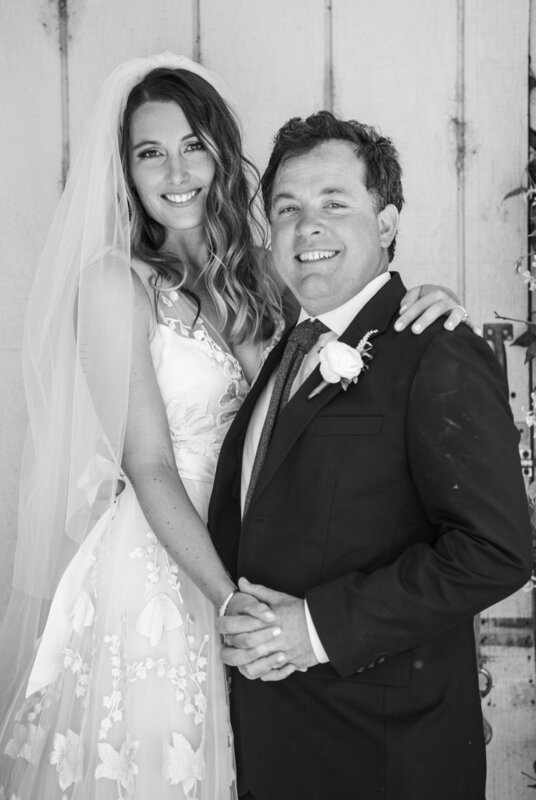 These two and about 60 of their closest friends all flew over from the East Coast for an intimate ceremony overlooking Calistoga with a five course meal and incredibly thoughtful toasts between each course. The evening concluded with a fire pit and s’mores and was just the perfect day! 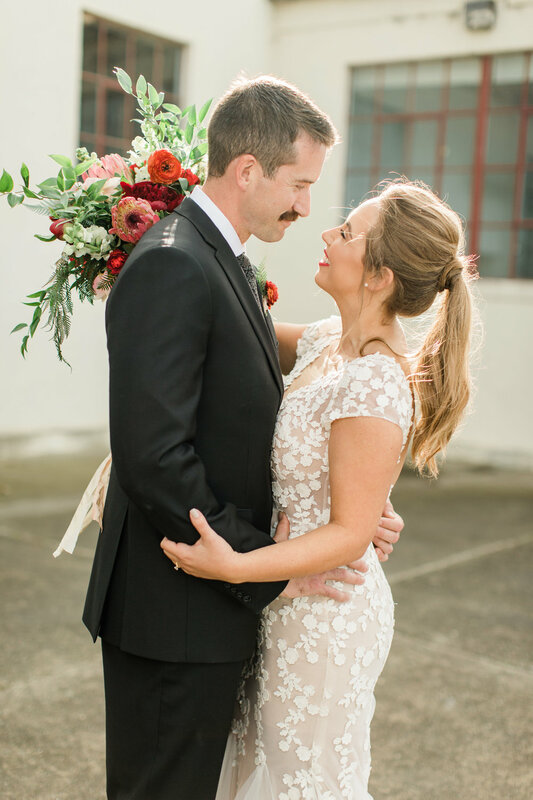 This true San Francisco couple decided to get married in the alley next to Bix - the iconic SF restaurant where they had their first date and where he had also asked her to move in with him. The black tie affair was incredibly memorable, and so chic I could barely handle it. One of the most epic grand entrances I have ever seen! A lovely, fun, elegant wedding overlooking vineyards on the peninsula these two had a great wedding with modern romantic details. This wedding was over the top gorgeous. Set on the groom’s family’s estate with amazing horses scattered all throughout the venue, the guests were welcomed to a ceremony at the pond, a dinner reception in the garden, and dancing into the night. The design was inspired by the bride’s white show horse, Gala, and was both whimsical and sophisticated. Loved this black tie wedding in historic Bently Reserve with 200 guests. The formal affair was incredibly memorable and beautiful, and these folks partied until 1:00AM with all of their friends and family! A simple, intimate wedding for closest family and friends celebrating 11 years of loving one another, and a lifetime more. Hoping for a casual but stylish event, they chose a beautiful old church in Sausalito and cocktail reception at a local restaurant to celebrate. When Yannis and Sasha met, they were only in Junior High School. She was the student assigned to show him around after he decided he didn't want to be at French school in San Francisco anymore. Now, living in Portland, surrounded by close family and friends, they are finally official. This farm-to-table garden party was relaxing, romantic, and emotional. I loved it all, and what an incredible couple!